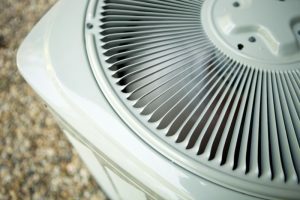 Are You Ready to Replace Your Air Conditioner This Year? We understand that investing in a new air conditioning system may not exactly be the most exciting way in which to spend your hard-earned money. That being said, it is an important way in which to spend those funds and, eventually, a necessary way to do so. You want to live comfortably during the summer season, and that means using a whole-house air conditioner. It also means replacing your air conditioner eventually, as no AC will last forever. Now, we also understand that, while you want to live comfortably, you don’t want to be replacing your air conditioner prematurely. That would just be a waste of money. You also don’t want to wait for your system to break down entirely before doing so, though, as that will result in a period of discomfort should it happen at a time when your AC is still needed. This is typically the case, so today we’ll give you some tips on when to replace your air conditioner in Grand Rapids, MI. Posted in Air Conditioning | Comments Off on Are You Ready to Replace Your Air Conditioner This Year?